While soap is an essential part of hygiene, it can also be drying and damaging to skin. Most lotions merely mask symptoms without solving the underlying problems. Babytime! Soothing Cream brings cooling comfort to red, dry, itchy, irritated skin. This all natural scent-free formula with calming calendula and raspberry butter restores moisture balance, while nourishing probiotics and neem oil fortify and soothe developing skin ensuring it is pH-balanced and healthy with good bacteria. Developed by doctors, Babytime! Soothing Cream is safe to use on any age skin and it has earned a top safety rating from the Environmental Working Group. Babytime! Soothing Cream can be used to relieve eczema or dermatitis for children and adults, cradle cap, baby acne or diaper rash for infants, and on any other dry irritated skin problems. Babytime! products provide a protective barrier to insulate vulnerable skin, offset environmental contaminants, and help keep children safe. By virtue of all natural ingredients Babytime! products reduce exposure to unnecessary and potentially harmful chemicals so prevalent in skincare products; even those marketed for babies and children. Doctors and medical professionals throughout North America use Babytime!’s skincare products in their hospitals. Babytime!’s unique probiotics formulation helps to enhance skin immunity, with organic ingredients as high as 95% to ensure the best quality. How? I'ts easy! Just enter to win using the Giveaway Tools form below. Good luck! Babytime! 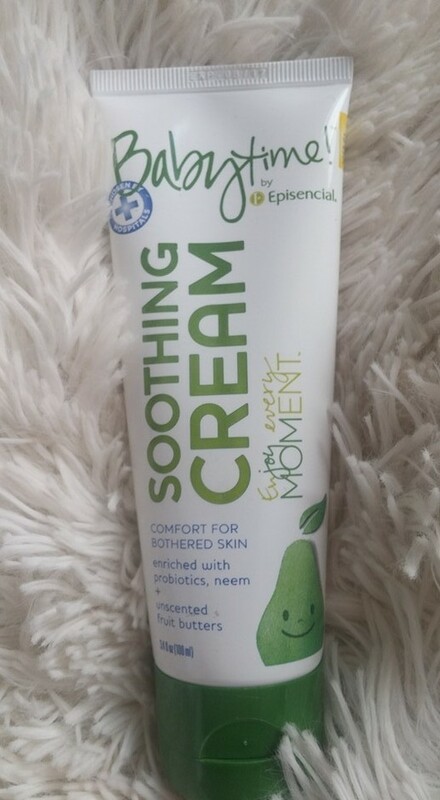 Soothing Cream can be purchased online for $10.99 at www.babytimeusa.com. *Product received. All opinion are my own. I just use soothing lotion. I do use aloe vera for sunburn and soothing the skin. I like using aloe, thank you for the great offer. I love your blog! My favorite remedy for soothing irritated skin is Coconut Oil. Coconut oil works well for a lot of skin irritations.